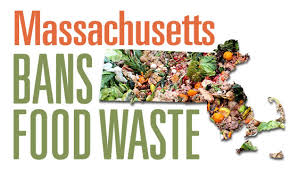 Massachusetts has banned commercial operations from sending food waste to landfills as part of its climate action plan. As of October 1, 2014, (only 3 months later than originally hoped) any entity that generates at least one ton of organic material per week has to either donate or re-purpose useable food and send the rest to a biogas facility, where it will be converted to clean energy or composted. The ban will help the state meet its twin goals of reducing waste disposal to landfills and increasing clean energy production. It affects about 1700 businesses and institutions, including supermarkets, colleges, universities, hotels, convention centers, hospitals, nursing homes, restaurants and food service and processing companies. Another boon from the ban is the growth of biogas plants across the state, needed to manage all the incoming organic material. MassDEP is working to site them on farms, wastewater treatment plants and other public and private locations by providing technical assistance and up to $1 million in grants. Currently 6 of Massachusetts’ wastewater treatment plants have anaerobic digesters capable of transforming effluent from on-site food waste digesters to clean energy or compost. The use of municipal sewer systems to transport digested food waste offers the added benefit of taking excess trucks off the roads which helps to reduce pollution and save additional costs. We hope MassDEP can convert more wastewater treatment facilities to anaerobic digesters before October 1st. This entry was posted in News and tagged BioHitech America, Climate Action Plan, Eco-Safe Digester, Mass Organics Ban, On-Site Digesters on February 14, 2014 by BioHitech America. Projections indicate that our rate of trash production will keep rising past 2100. A recent World Bank report projected that the amount of solid waste generated globally will nearly double by the year 2025, going from 3.5 million tons to 6 million tons per day. But the truly concerning part is that these figures will only keep growing for the foreseeable future. We likely won’t hit peak garbage—the moment when our global trash production hits its highest rate, then levels off—until sometime after the year 2100, the projection indicates, when we produce 11 million tons of trash per day. Why does this matter? Because much of this waste isn’t handled properly: Millions of plastic fragments are flooding the world’s oceans and disrupting marine ecosystems and food waste driving hundreds of miles to landfills where it renders itself useless, is a useless waste of time and money. Creating policies that give incentive to people to produce less waste could be a way of tackling the problem. In many Japanese municipalities, trash must be disposed in clear bags (to publicly show who isn’t bothering to recycle) and recyclables are routinely sorted into dozens of categories, policies driven by the limited amount of space for landfills in the small country. Very small and simple changes in the way you live can have dramatic effects on how much waste you generate. You, as a consumer, have considerable power to reduce the amount of waste going to landfill by choosing to buy products that use less packaging or are packaged in recyclable materials. It is also worth remembering that although recycling is better than disposing of it in the normal trash, a lot of energy is consumed for both the recycling process and the transportation of the waste to and from its final destination. Any steps you make that reduce or eliminate the use of an item you would normally recycle or throw away will have a significant positive impact on the environment. Finding on-site solutions for food waste disposal and choosing products that are reusable and long lasting instead of single-use disposable products will save a lot of waste and also save money and the environment over the long term. Garbage might seem like a passé environmental issue, but landfills will not be able to contain this growing amount of waste in a sustainable manner. Tripling our global rate of garbage production is a particularly bad idea. Municipal solid waste management is the most important service a city provides, measuring the extent of the problem is a critical first step to resolving it. This entry was posted in Environmental Concerns and tagged Eco-Safe Digester, Food Waste, Food Waste Diversion, On-Site Digesters, Trash Production Rising on January 6, 2014 by BioHitech America. Landfills have been used as the final resting place for all of our waste for a very long time. It is the most common method for waste disposal around the world. This burial ground is home to such wastes as food, paper, glass, metals, plastics, construction debris, medicine, electronics, fertilizer, etc. Big open holes filled with garbage, then compacted, filled some more and then buried with a layer of dirt. We have been dumping our trash in the ground for years without a second thought to the environment or our health. But finally there is concern for the environment that has brought to light the need to terminate this practice, eliminate this antiquated process and move on to greener pastures. A solution needs to be defined that will benefit not only the earth, but also ourselves. Many states are recognizing that there is value in food waste and are turning it into an asset rather than burying it. Four states are pioneering ambitious movements to regulate and remove food waste from their state landfills. Vermont, Rhode Island, Massachusetts, and California have either announced or already initiated programs that will mandate the recycling of food waste. As amazing as this is for the environment, and as ambitious as the program is, unfortunately it raises some problems especially for the owners of large businesses that generate more than 1 ton of food waste a month. In order to comply with the new regulations set forth by these states, businesses that generate more than 1 ton of food waste per month will have to find a new way to dispose of this waste as sending it off to be buried in a big hole will no longer be an option. No more dumping the food waste into dark garbage bags to be hauled many miles to the burial ground because those haulers will be fined for breaking the law. This has trouble written all over it for businesses that don’t execute a plan now. So, what are their choices? The most popular answer to this question is composting. 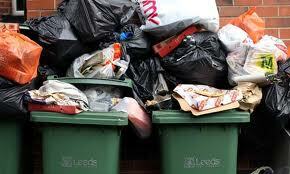 Supporters argue that it is an advantageous means of disposing of the waste due to its environmental benefits. But, the process is hardly environmentally-grounded and although it produces dirt that can be resold and spread about, the process itself is costly, inefficient, unreliable, time consuming, and labor intensive not to mention that is in no way a “green” solution. On-site digesters that are designed to cost less than traditional hauling, pre-screen for contamination, keep trucks off the roads, take minutes to dispose of, and repurpose staff time, all the while sending the digested food waste to wastewater treatment plants that are converting it into biogas, biosolids or new clean water is the best solution out there. Finding a new home for this waste will reduce the volume that ends up in landfills, but a good solution will also need some focus placed on purchasing less and producing less in order to generate less. There is no escaping these new regulations, and as more states begin to adopt this as a means of sustainable survival, more will have to comply. It makes sense to formulate a plan and pilot a solution to be ahead of the game. This entry was posted in Going Green and tagged Food Waste Regulations, Landfills, On-Site Digesters on August 13, 2013 by BioHitech America.